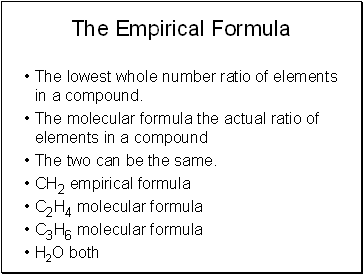 The lowest whole number ratio of elements in a compound. 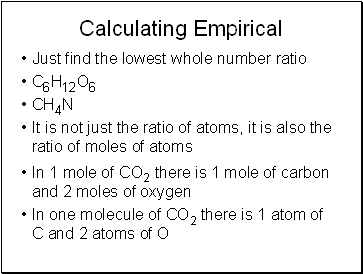 The two can be the same. 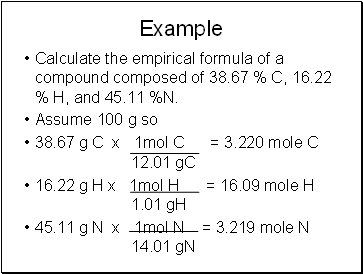 Pretend that you have a 100 gram sample of the compound. 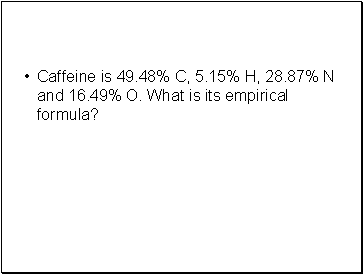 That is, change the % to grams. 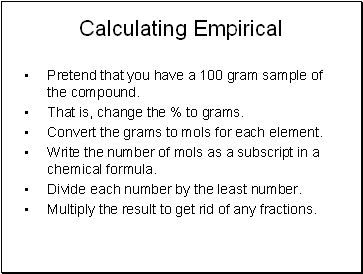 Convert the grams to mols for each element. 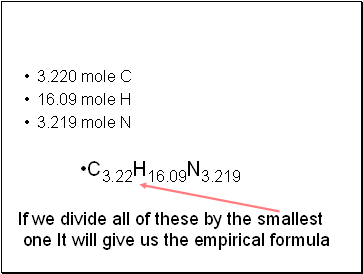 Write the number of mols as a subscript in a chemical formula. 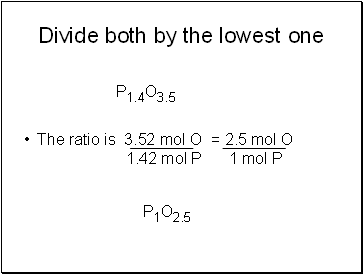 Divide each number by the least number. 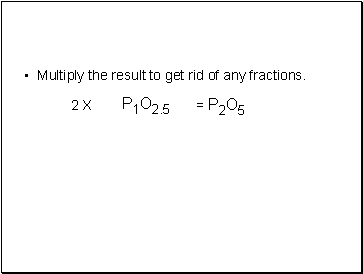 Multiply the result to get rid of any fractions. 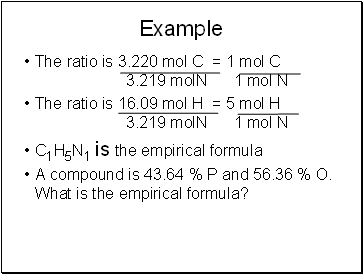 Calculate the empirical formula of a compound composed of 38.67 % C, 16.22 % H, and 45.11 %N. 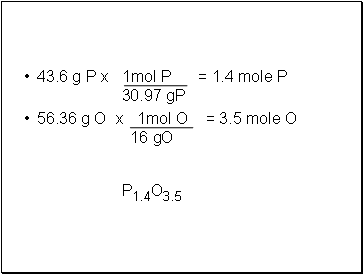 A compound is 43.64 % P and 56.36 % O. 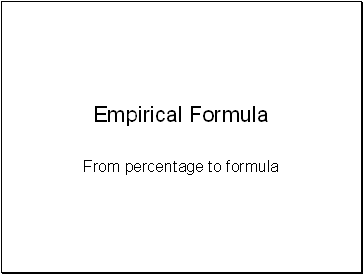 What is the empirical formula?